Although after so immense modernization and scientific advancement, there are a lot of electronic vaults and chests that can be purchased to preserve our valuables but the importance of the old wooden chests can’t still be denied. Many people are still obsessed with these wooden creations. 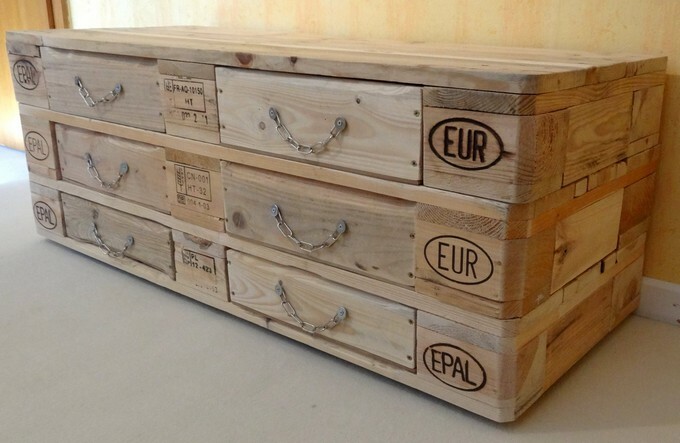 And the other scary part is the sky high prices of these chests, so we are again employing the shipping pallets to take care of our need of saving and preservation of our valuables. 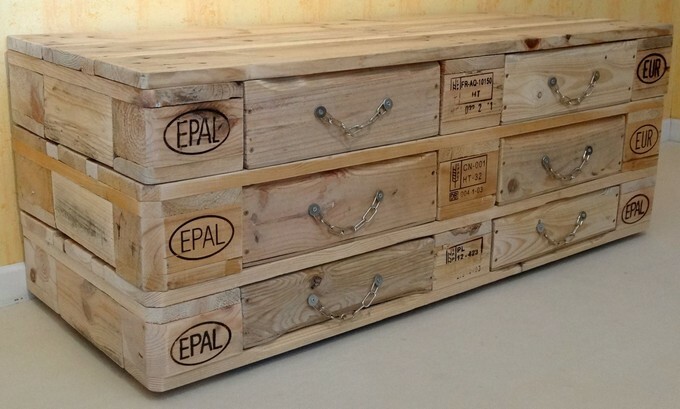 We are going to recycle a pallet wood chest that would be having a number of drawers in it too. 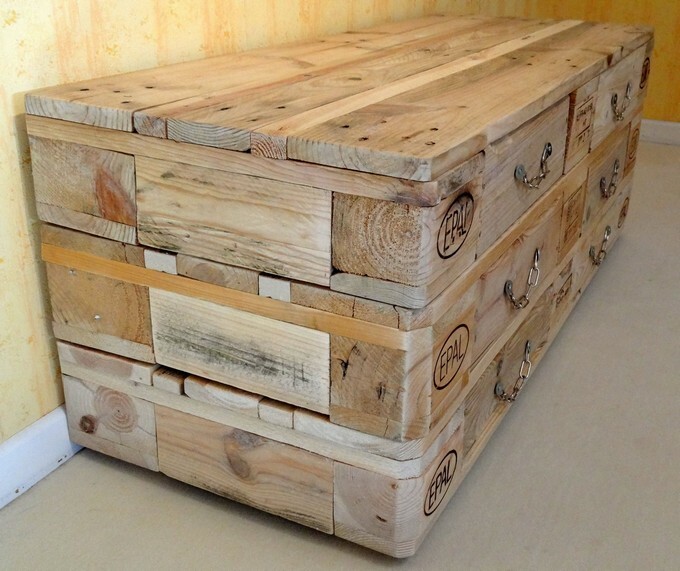 Okay, so are you guys ready to have a look on different aspects of this beautiful wooden pallet creation? 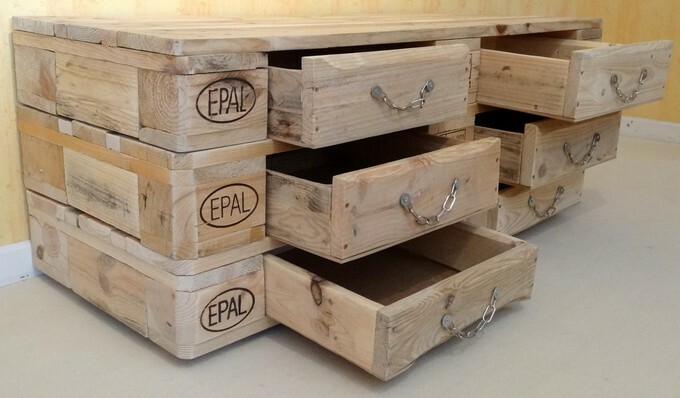 Start counting these opened drawers that are built in into the chest. Like they are six, just imagine how much of your stuff can be placed inside all of them? On being closed they have literally become silent and smooth part of this rustic wood pallet chest. Another thing that must be discussed here is the knob that we have created again, these are not the market based typical knobs that were bought but we created them at our own. These cheap chains were cut to size to be attached with the drawers. From a side this gives a pretty decent impression. This is not that straight wooden chest which is so common and we have created a number of times. This is rather more influenced from the tables having multiple drawers. Looking at the top of the chest we realize that this can also be used as a conventional side or centre table because of the huge size. So this is basically a multi functional wooden pallet creation that is made using the finest and cleanest shipping wood pallets.